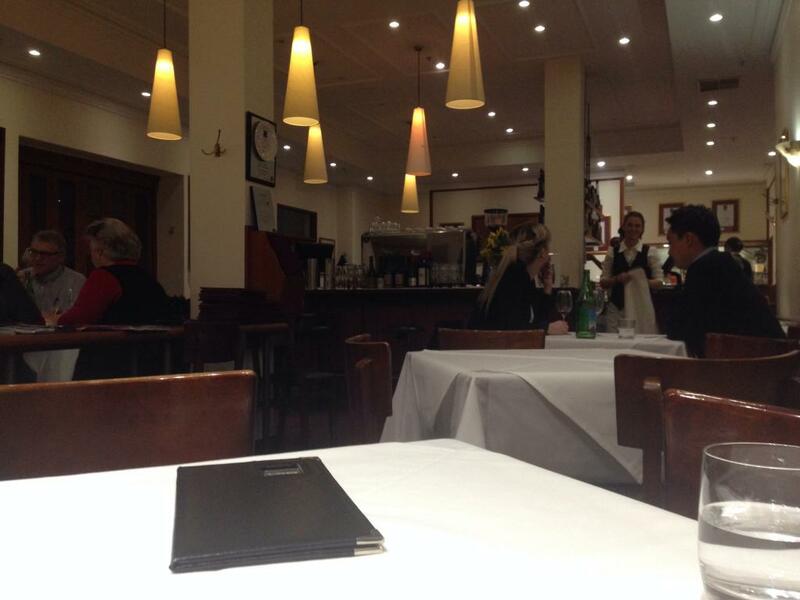 Ahh, Rigoni's Bistro. 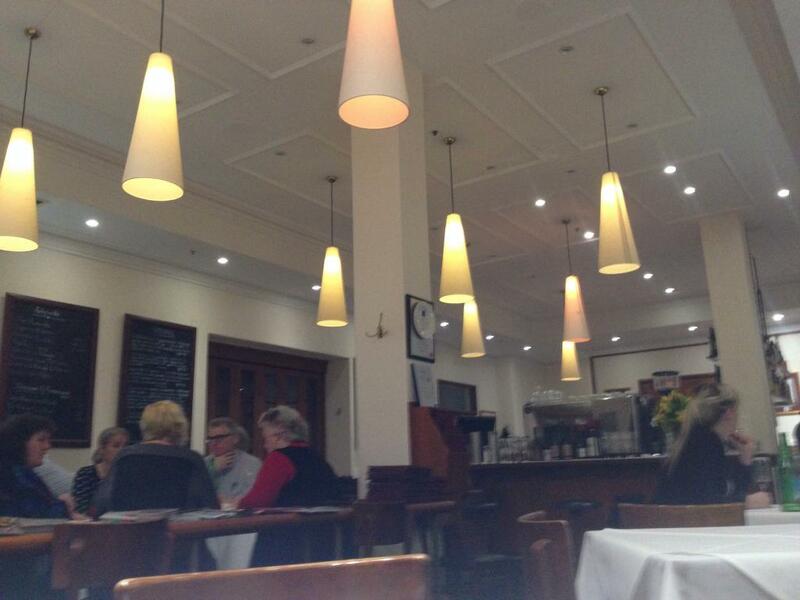 With a score of 4 and 3 last time I was here, this is my current lowest-scoring restaurant in Adelaide. However, it ranks fairly highly on Urbanspoon, so I thought I'd give it another try. 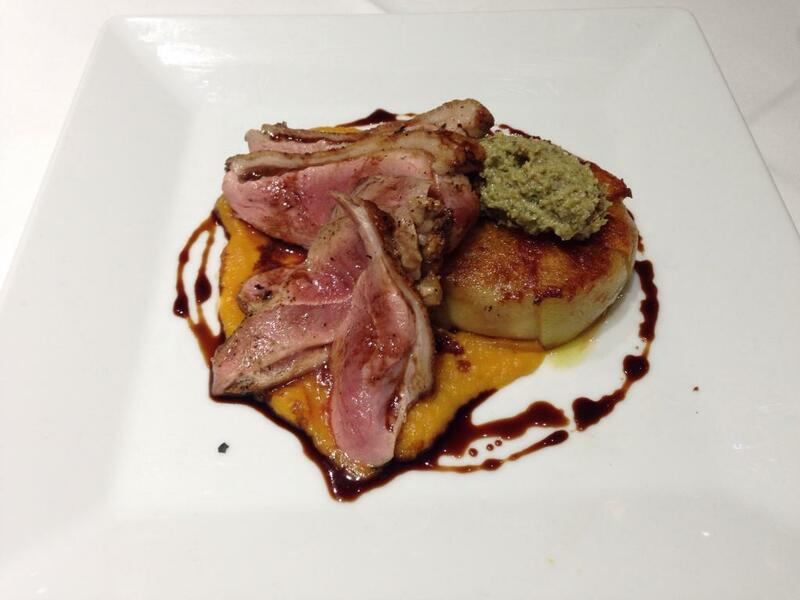 Grilled free range duck breast & sformata of confit duck, potato & taleggio with pumpkin-amaretto purée & vincotto. The duck here is extremely difficult to cut. It has a texture that's fairly close to being raw, on the inside. The waitress asks, and offers to put it back on for me, but I decline. The duck doesn't have a huge amount of flavour, but the pumpkin and balsamic vinegar enhance it enough. The big disc of feed is shredded duck inside a thin potato case. It has an interesting texture, but neither component has much flavour. The crisp on the potato is probably the main source of flavour here. There's a lump of stuff on top. It's like minced olives. I don't mind olives, but they have a very strong taste, and they completely overpower everything else here. 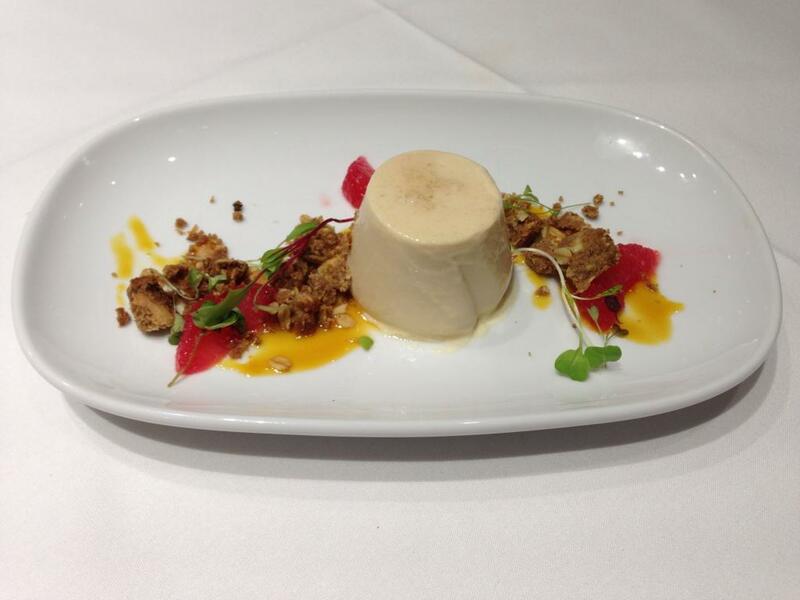 Rhubarb panna cotta with almond crumble & blood orange. The panna cotta here has a taste almost like yoghurt, and the same consistency. However, the rhubarb adds an unusual fruity taste. The panna cotta goes perfectly with the blood orange and granola bits, evoking the feeling of eating breakfast cereal with yoghurt, but much sweeter.